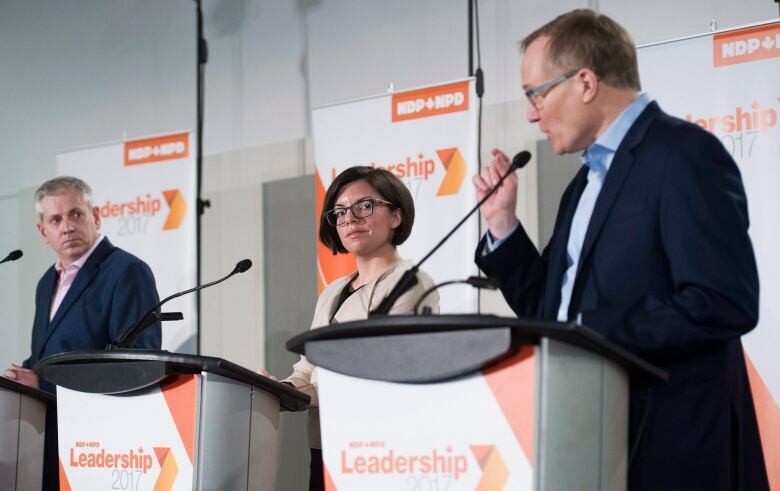 At the second NDP leadership debate in Montreal Sunday, candidates discussed issues affecting youth, including the support the Liberals gained because of promises to decriminalize marijuana. 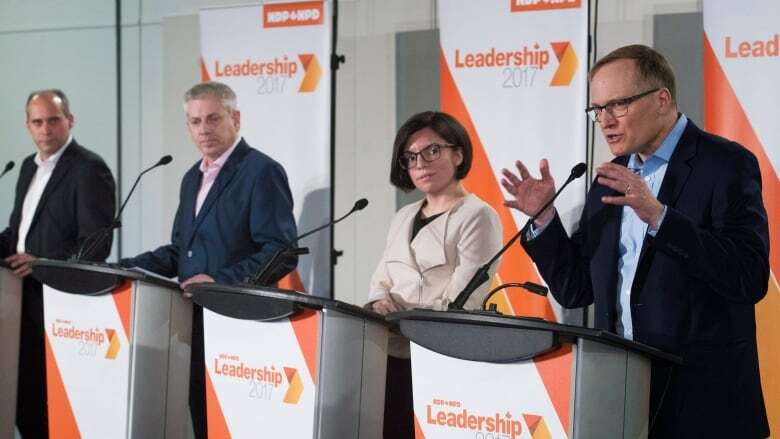 The Liberal government's plan to move ahead on marijuana legalization is up in smoke, NDP leadership candidates suggested during Sunday's leadership debate in Montreal while they also addressed a range of issues affecting youth, including student debt and precarious employment. B.C. MP Peter Julian, one of four contenders in the race to replace Tom Mulcair as NDP leader, said the federal government has failed to keep its 2015 campaign pledge to legalize and regulate pot for recreational purposes. For its part, the government says it is working on crafting legislation on marijuana legalization set to be introduced this spring — a move that follows the work of a task force assigned to study the issue. "I believe in legalization," Julian said during the NDP's second leadership debate. "I do not believe Justin Trudeau is going to bring in the legalization of marijuana and as proof that ... we are still seeing, particularly young, Canadians being criminalized by simple possession of marijuana." Many young people opted to support the Liberals in the last election due to this promise, Manitoba MP Niki Ashton said. The Liberals ran a cynical campaign in 2015, added Ontario MP Charlie Angus, suggesting the Liberals ticked all the right boxes, including on pot, with no intention of pursuing them. Sunday's debate in Montreal — another instalment in the party's lengthy leadership race — also featured discussion of skyrocketing student debt and the need to address tuition fees. Young people struggle to purchase homes and participate in the economy, Caron said Sunday, noting his proposal for a basic income would help address this issue. Caron, an economist, has called for a taxable supplement that would help those Canadians whose income levels fall below a standard minimum threshold, determined in part by the size of their family and the city they live in. The pitch is designed to complement existing provincial and federal social programs, not replace them, Caron says, noting 70 per cent of those people who are living in poverty are considered working poor: they have jobs but they don't earn enough to get by. University graduates can no longer rely on long-term jobs over the course of their careers, Ashton said, noting Canada faces an "emerging crisis" as a result. Many young people voted in record numbers in the last federal election for a Liberal message of change, she added, noting millennials have had enough of politics that fail them. "I look out at a number of young people here today, some of whom I had the chance to hear from about what they are facing in terms of precarious work," she said. "We are a generation, and I am part of that generation as well, that risks living a life worse off than their parents." Scrapping tuition fees would help students pursue post-secondary education without concerns of crushing student debt, Julian said. Angus called for a reinstatement of a $15 federal minimum wage, adding young Canadians are being forced into precarious work and many earn less than a living wage. "It is our job in this renewal to reach out to people who feel they have been written off the political map of this nation to give them hope but also certainty that when we form government we are going to do more," he said. The NDP will name its next leader in October.